Matt Acker is already tough to miss thanks to his colorful ginger beard and Warbeard bike, but in Michigan’s gravel scene, he is tough to miss off the bike because he is everywhere. Acker has made a name for himself racing events of all distances across the country—he won last year’s inaugural 350-mile DKXL—and recently, he has been giving back by helping organize local gravel rides and races in his home state of Michigan. 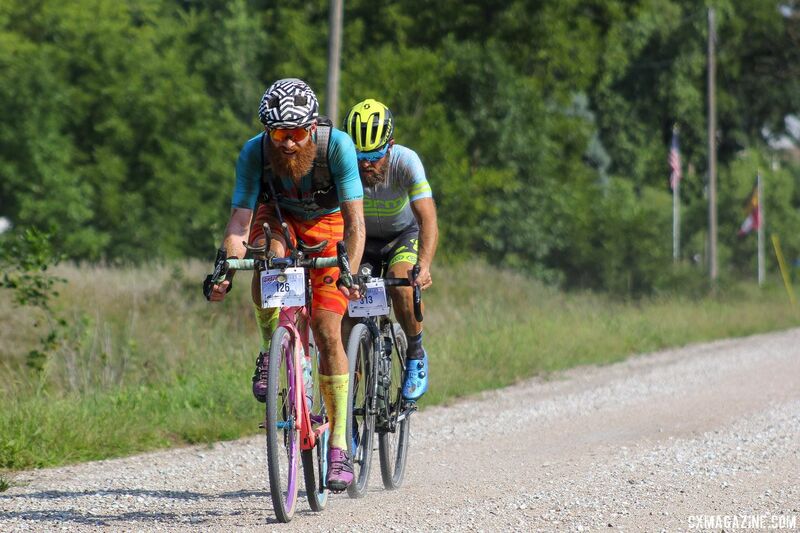 Last year, Acker helped with the first Cross the Mitten Michigan Coast-to-Coast Gravel Grinder, and this year, Acker has taken on a leadership role with Saturday’s Barry-Roubaix based in Hastings. There is a method to Acker’s Michigan gravel madness. Jenny Acker is also a gravel enthusiast and a graphic designer and has been helping Barry-Roubaix race director Rick Plite with design work for the last several years. It went well, so why not formalize it? Acker has been helping the event prepare for Saturday’s race that will bring over 3,000 gravel enthusiasts to the small town located midway between Grand Rapids and Lansing. This year’s Barry-Roubaix will be the 11th edition of the annual early-spring race. As we noted in our preview of last year’s race, like most gravel events, the Barry-Roubaix started with race director Rick Plite and friends riding the roads of Michigan’s Barry County and then wanting to share them with others via a race. That first ride with 280 people has grown into a massive event with distances of 100, 62, 36 and 22 miles. The 62-mile race is the marquee event distance with payouts to reward the fastest women and men. The 100-mile race was an addition last year for a special year. “It is our 10-year anniversary and 10 times 10 equals 100 sounded like a good idea,” Plite said last year. That race is dubbed the “Psycho Killer,” to keep with the Barry-Roubaix’s “Killer Gravel Road Race” mantra. This year’s 100-miler has a sold-out field of 306 with a few more on the waiting list hoping to get in. One-hundred is a popular distance in miles or kilometers for a lot of gravel races, so will the 100-mile event become the Barry-Roubaix’s goldest standard? “We don’t have any immediate plans to make it the big event, and the 62 miler remains the signature race for those looking to duke it out with the best,” Acker said. That Lauf is a sponsor of the 22-mile race is little surprise. The Icelandic company has become a mainstay at U.S. gravel races, with employees participating in events across the country. Last year, we met Gudberg Bjornsson at Gravel Worlds, and this weekend he will be in Michigan. We also spotted another Lauf employee at Florida’s Great Gator Gravel Grinder a few weekends ago. Lauf will be returning the favor by hosting The Rift race in Iceland this July that, of course, the Ackers will be racing. 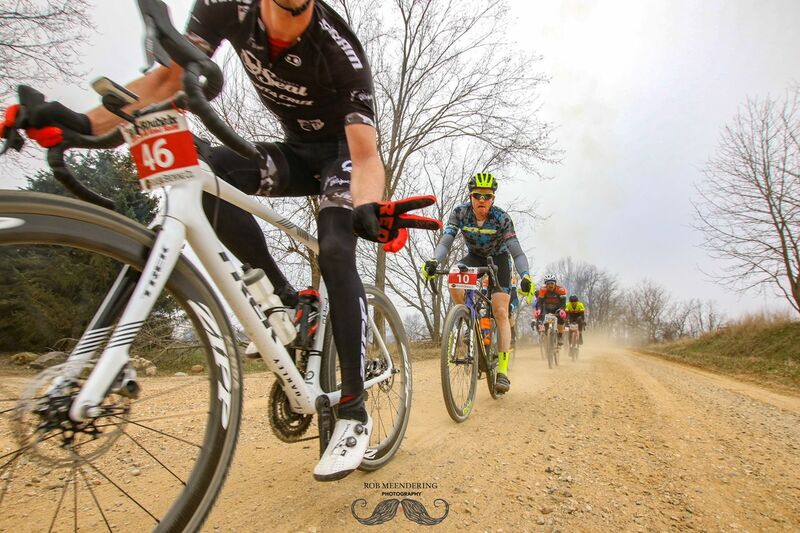 With 3,500 people registered for this year’s race and more knocking at the door, the Barry-Roubaix is a premier event in the Midwest gravel scene. With the big fields come an impressive purse. The total prize purse for the 62-mile race totals $12,000 for the Elite, Masters and Singlespeed categories, and the Open winners each take home $1,200. Despite the prize purse, the Barry-Roubaix has not necessarily attracted the same number of national “Elite gravel racers” like a Land Run 100 or Belgian Waffle Ride might. That is not to say that the stars do not come out for the race. Mat Stephens (Panaracer / Factor p/b Bicycle X-Change) has won the last two years, and emerging road and cyclocross star Lily Williams (Hagen Bermans | Supermint) won in 2017. Other race alumni include Justin Lindine, Cody Kaiser and others. All Barry-Roubaix courses head out southwest of Hastings into Barry Country. The 62-mile course can be a fast one thanks to the well-maintained roads and a moderate amount of climbing. Looking for proof the roads are not that bad? Last year Jeff Jacobi did the 36-mile route on a penny farthing. A penny farthing! Two years ago, conditions were pretty much the worst with a cold rain falling through 40-degree temperatures. Only 1,850 of 3,200 registrants finished that race. Last year was fast, breaking records from the 2013 “Fast Year.” Rachel Langdon (Gray Goat Mobile / Bullseye Total Media) shattered the Women’s 62-mile course record by 7 minutes and Stephens bested the Men’s best by a little under 2 minutes. What will this year’s race bring? Right now, temperatures are expected to be near 50 degrees, and Acker thinks some pre-race rainy will help the skinnier-tire rippers. If one thing about Saturday’s race is certain, it is that the post-race flavor will be “delicious,” with Grand Rapids’ Founders Brewery serving as the race’s title sponsor. 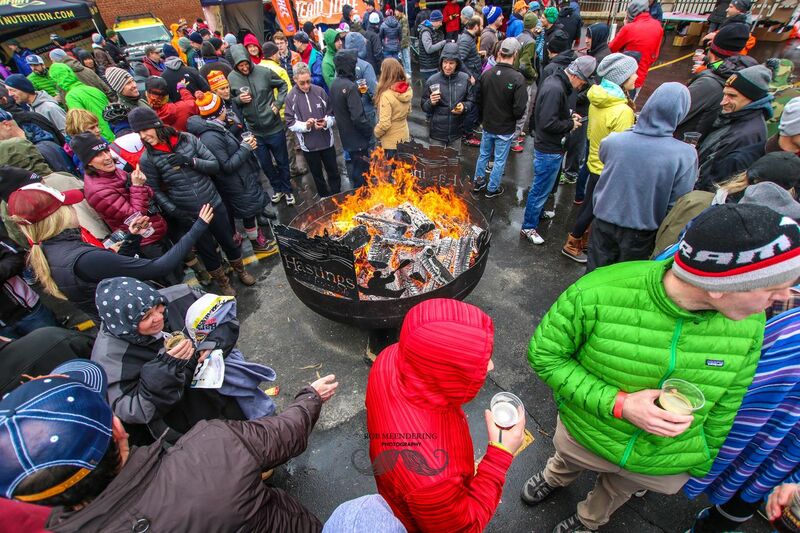 “I come from a mountain biking background and there has to be a party afterward with beer! No matter the event,” Plite told us. Is a virtual Stars-and-Stripes the same as the real thing? The top Zwift racers in the U.S. went for the 2019 Zwift National Championships on Sunday. Sanne Cant had a Belgian Champion’s Stevens Super Prestige for her winning ride at the 2019 Bogense Cyclocross Worlds. We profile her Belgian blue bike. The Seven Cycles Evergreen Pro SL titanium gravel bike won the Best Gravel Bike award at teh 2019 NAHBS. Take a closer look at the eye-catching winner.